The AMBER centre is partnering with Johnson & Johnson to open a new dedicated 3D bioprinting lab. 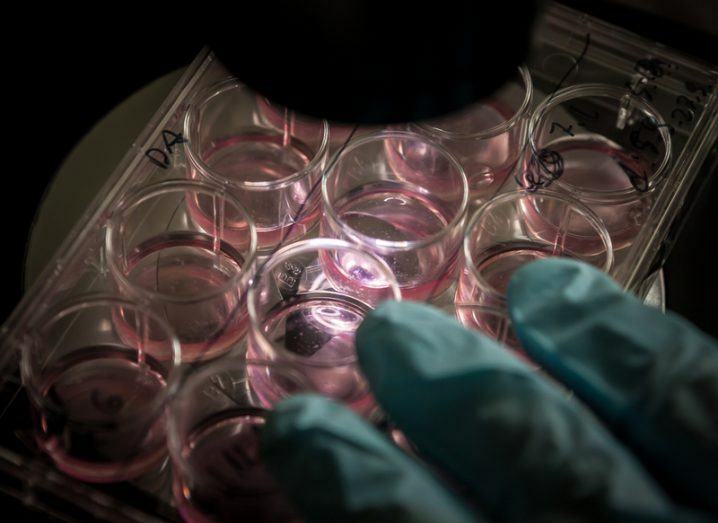 3D printing doesn’t have to be about creating everyday items, with 3D bioprinting showing that it is possible to grow ‘living’ cell and tissue cultures for use in advanced clinical research. Now, Trinity College Dublin’s (TCD) AMBER centre has announced a partnership with global healthcare company Johnson & Johnson to open a collaborative laboratory focused on 3D bioprinting by the end of 2018. The company will also engage in research projects focused initially in orthopaedics and, in the long term, offer its internal scientific experts as adjunct professors, and engage in staff exchanges. The lab will be jointly led by AMBER’s Prof Daniel Kelly and Johnson & Johnson’s lead API and bioprinting researcher Joseph Ault. It will be made available to other principal investigators as well as postgraduate and undergraduate students to carry out project work outside of the direct collaborative activity. A 100 sq m space within the Trinity Biomedical Sciences Institute (TBSI) building has been identified to host the lab, and will be suitable for working with bioprinting and cell and tissue culture, acting as a meeting and office space for 12 people. This is not the first time that TBSI and AMBER have been involved in the science of bioprinting, revealing in 2016 that their researchers created a process to support 3D bioprinting of new bone material, enabling larger and more complex implant shapes, paving the way for grafts around the head. “This lab is the result of a shared vision to create a global centre of excellence for 3D bioprinting within the centre,” said AMBER’s director, Prof Michael Morris.